The rush of adrenalin and the sparkle of the stage lights are what ten year old Eleanor Irvin lives, breaths and sidekick splits for, in this new dance focussed fiction for young readers. Being the mother of a ten-year-old girl who has seen their fair share of backstage hysteria and dance school tulle, I found this first chapter book in the Silver Shoes series by Melbourne based author, Samantha-Ellen Bound, very close to our experiences in a competitive dance school (that glitter hairspray takes days to get out by the way). Told through the eyes of Eleanor or ‘Ellie’, the pressures felt about friendships, auditions, family and appearance at this age are very clearly expressed through Ellie’s sharp, quick and at times skewed observations. The voice of a ten year old has been perfectly captured, including much of the ‘attitude’ which the reader will relate to. The story centres on the Silver Shoes Dance Studio, and an upcoming dance competition. While Ellie is passionate about her dancing, she feels she has a problem with auditions. Bound clearly remembers much of her early days as a dancer and this comes across strongly. 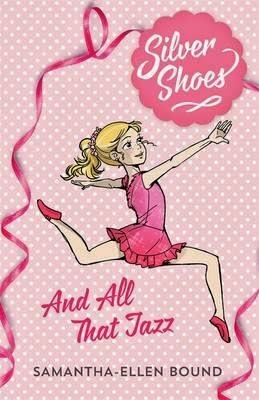 The author illustrates Ellie’s passion for dance, but then conveys the positive emotional impact of doing what you love and pushing yourself to achieve your goals. I also liked that the ending wasn’t completely obvious. Samantha-Ellen Bound has been an actor, dancer, teacher, choreographer, author, bookseller and scriptwriter. She has published and won prizes for her short stories and scripts (I also think she has the most appropriate last name for a dancer). The other three books in the series highlight a different character in Eleanor’s dance school with each taking a role as the narrator and therefore appealing to potentially different readers. I found myself eager to crack out the legwarmers and pop Flashdance in the DVD player!